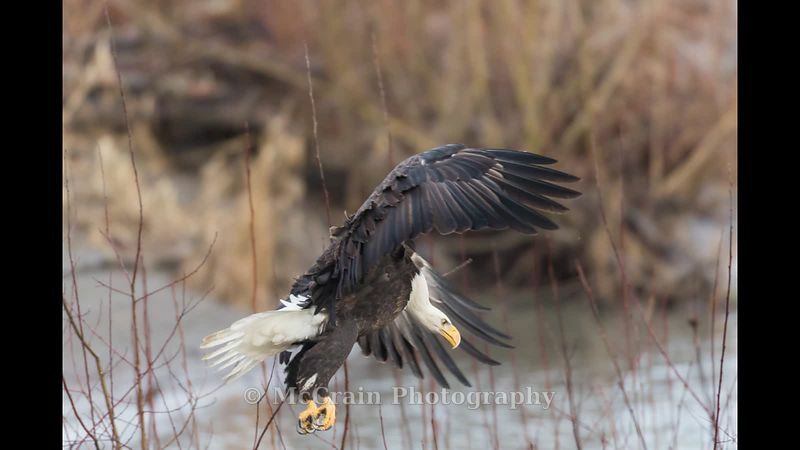 The North Fork of the Nooksack River is well know for Bald Eagles in the winter among photographers. It is almost two hours from our house so Jody and I haven't made it up there too many times. After our most recent late January visit I'm determined to make it a more frequent destination next year. With the naked eye you could scan up the river and see a dozen or more eagles. At one point a half dozen of the landed on a sandbar about sixty feet away and argued over a very ripe salmon carcass. 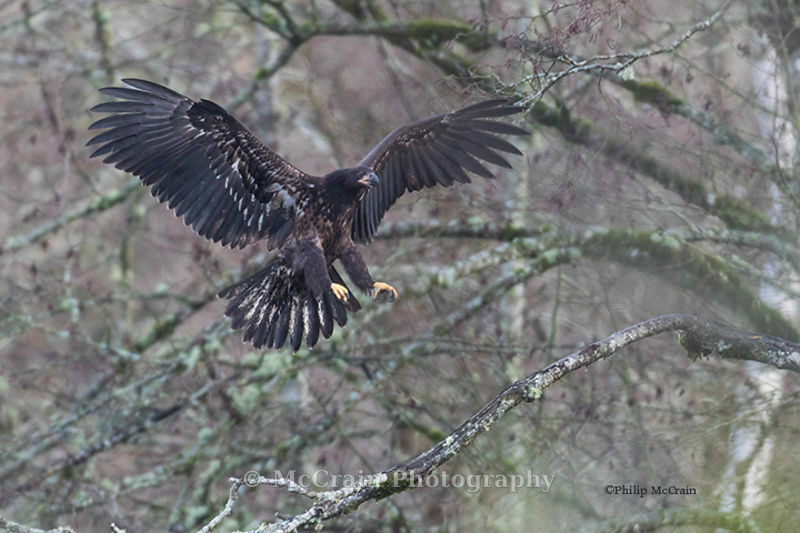 This young eagle was coming in for a landing. This tree overhung the riverbank and saw a lot of comings and goings. Here is a group of shots of a Bald Eagle landing on the near sandbar that I put together into a little video. Mid-morning was quite active with the birds flying around, coming and going.